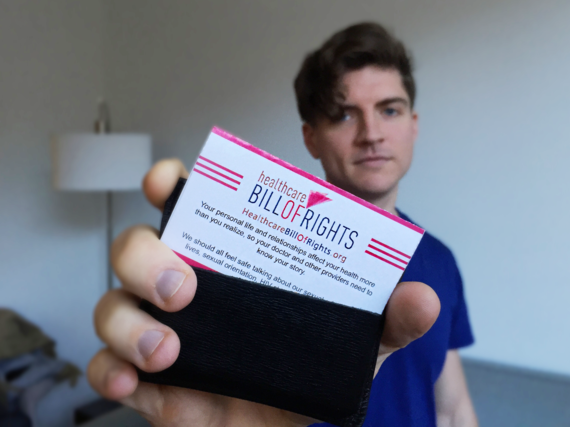 Queers Need a Healthcare Bill of Rights -- and It's Here! The first year of treatment for my depression had done nothing. And -- saying nothing -- I had slowly given up on receiving care and dealt with things myself. It was only then, halfway through my junior year of college, that I decided to tell my doctor he had failed. "You stopped taking the medicine? And seeing the therapist?" I nodded but quickly added that he didn't need to worry. "I'm not totally better, but I've resolved a lot of my issues with coming out, and things aren't as bad as they were -- even without the therapist or pills." It took a moment to settle in. "Coming out?" he repeated. "You're gay?" And then his tone turned from surprised to resigned, even hurt. "Why didn't you tell me?" Like many queer youth, the initial process of coming out horrified me, especially the thought of coming out to someone with the authority to decide what medical care I should receive, someone who knew my most private information, someone whose actual job was to get inside my head. I feared I would be treated terribly and that my care would suffer. I had no idea if I had rights that would prevent that. But just as importantly, I didn't know it was relevant for the doctor to know I was queer, and since he never asked, I waited months to tell. Instead of feeling comfortable with my doctor and getting the care I needed, I added months of torment to my already fractured life. Queer people are not receiving quality health care, and they deserve to be. Today, along with 40 local and national partners, we're excited to announce the launch of our Healthcare Bill of Rights. 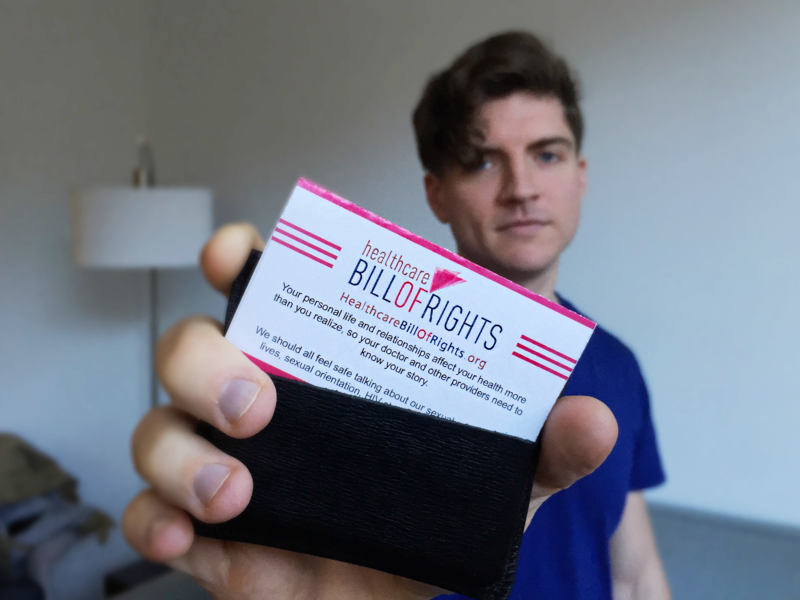 A Web-based portal that's half consumer guide and half call to arms, the Bill of Rights will help LGBT people nationwide understand their rights and take action to get care. Downloadable versions range from a pocket-sized snapshot to a detailed compendium, and additional resources on the Web can help people get what they need. LGBT health disparities will not be finished overnight. For example, nothing will instantly stop us from smoking at a 68-percent higher rate than the overall population. But part of the reason that we have disparate rates of tobacco use, mental-health issues, and cancer (to name a few) is that we're not getting good care. Too often we don't know what good care is, we don't seek care at all, or we simply don't get what we need from providers. Our lives matter, our bodies matter, and our sexualities and genders matter. They matter to us, and they should matter to our providers to inform and improve care. It starts with education, and if we can't educate every doctor, nurse, and administrator in the country, we can at least educate ourselves. Sometimes I wonder how life would be different if I could travel in time and educate my 20-year-old self, who thought it was better to go it alone than talk to a doctor. I wonder how many fewer nights I might have cried in my dorm-room shower, running the water so no one would hear. I wonder if I would not today feel like I lost a decade of youth. But for those of us who made it through, there's no time to look back and wonder. The struggle continues for all of us, especially those at the margins of even our own community. I hope the Healthcare Bill of Rights will be a step, however small, in our long march toward equality.